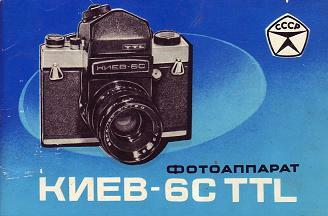 In the early 1970s the powers that be at Arsenal decided to make a camera to compete with the East German Praktisix. 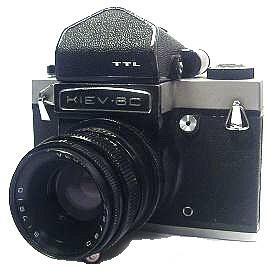 The result was the Kiev-6S.Although the cameras look similar all that they have in common is the lens Mount. These cameras are known to exist in 4.5X6 (apparently all are post factory modifications). The camera has several unique features including a left-hand shutter release and an off center film advance (source: http://www.commiecameras.com). The original price - 690 roubles.